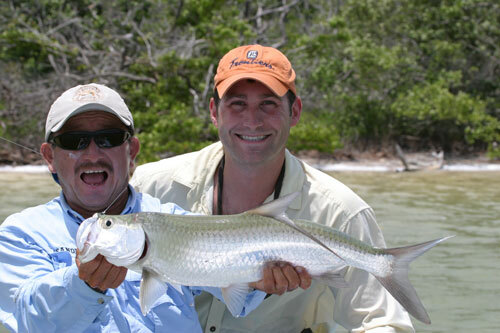 Mexico’s Holbox Fly Fishing Lodge is the newest Giant and Baby Tarpon fly fishing resort in the clear waters near Cancun. 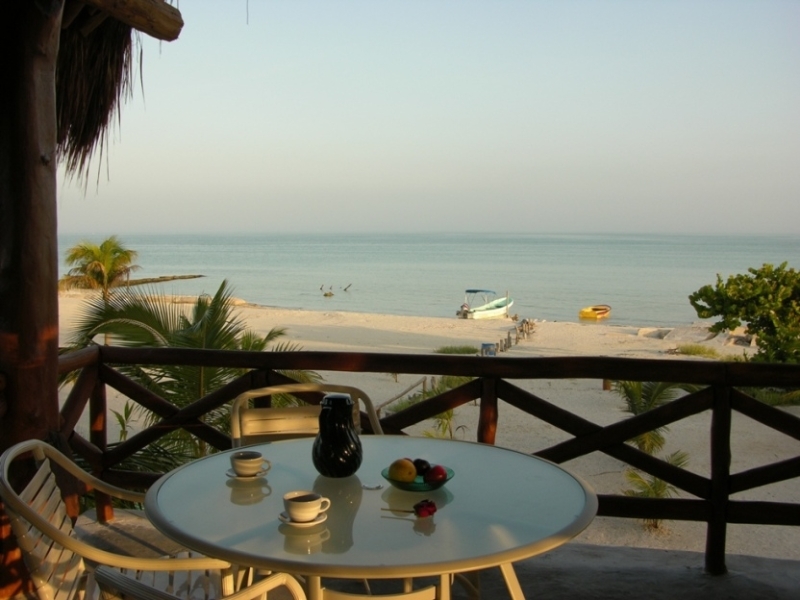 Holbox Fly Fishing Lodge is the perfect combination of warm water fly fishing and superb beach front accommodations. 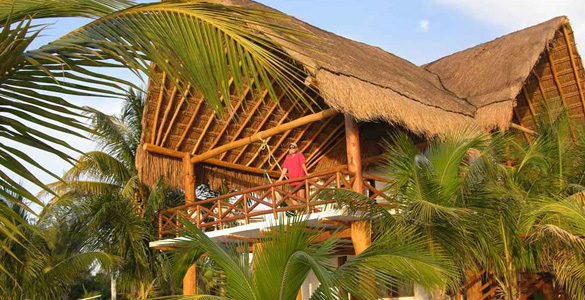 It is the only property on Holbox Island dedicated to fly fishing enthusiasts and their non fishing partners. 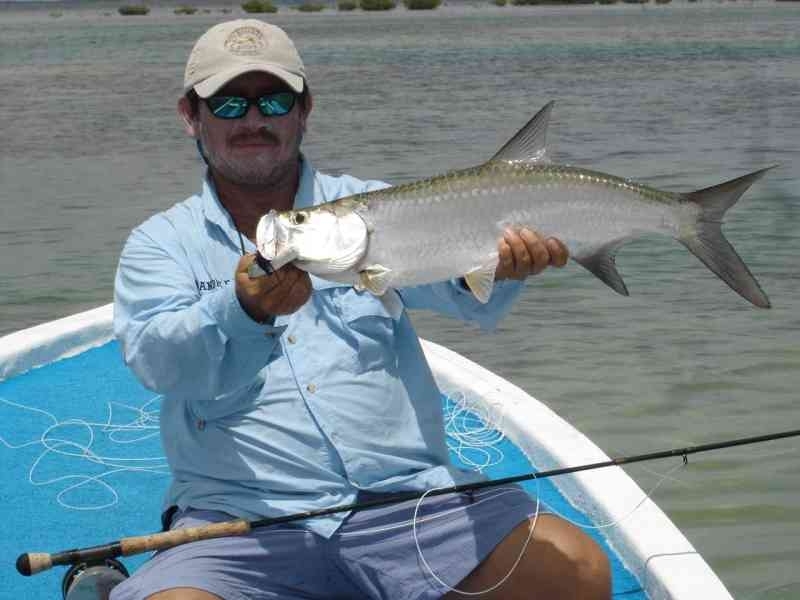 Anglers and guides pursue big and baby Tarpon, Cobia, Sea Trout, Snook, Barracuda and some Permit in in clear gulf waters, endless flats and mangrove lagoons. Non fishing partners mix horseback riding on the beach, sweet water cenote swimming, kayaking, windsurfing, birding and island exploration with hours of relaxation on the empty white sand beaches of this undiscovered island. 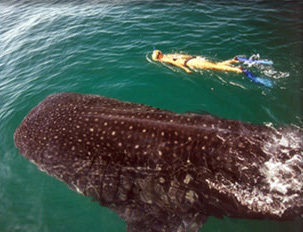 You can also mix in a trip to Mayan Ruins or snorkel with the whale sharks. 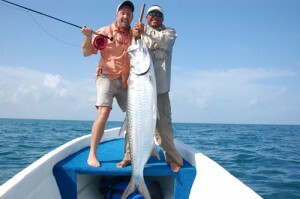 Many of our clients also choose to extend with a Bone Fishing trip to Ascension Bay. 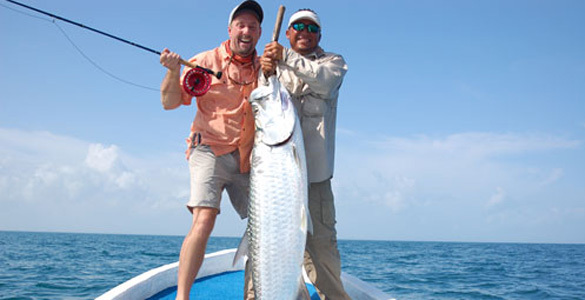 The tarpon fly fishing adventure starts with your arrival at Cancun International Airport. It is about a 2 hour flight from Miami or Houston. 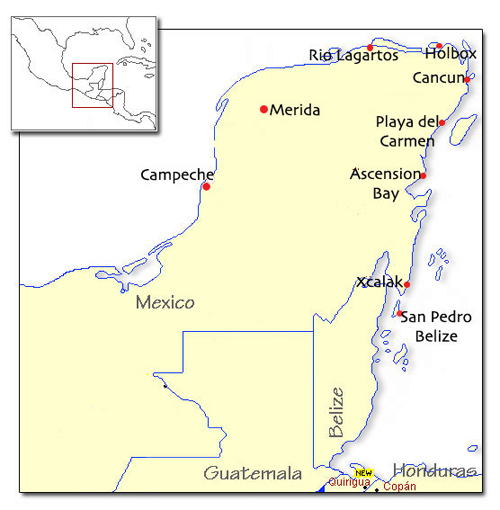 Many carriers service Cancun directly from many cities in the US and some good fares can be found. You will be met after you clear customs by the driver for the lodge. From there it is a 2 hour drive to Chiquila, a fishing village on the northern Yucatan coast.The drive passes through a few interesting Mayan Villages along the way. 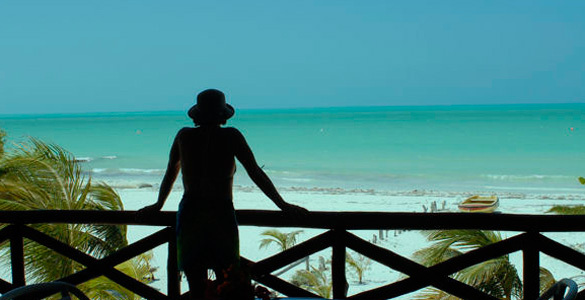 Once in Chiquila you will board a boat for the trip to Holbox (pronounced “Holbosch”) It is a 20 minute boat ride to the village. 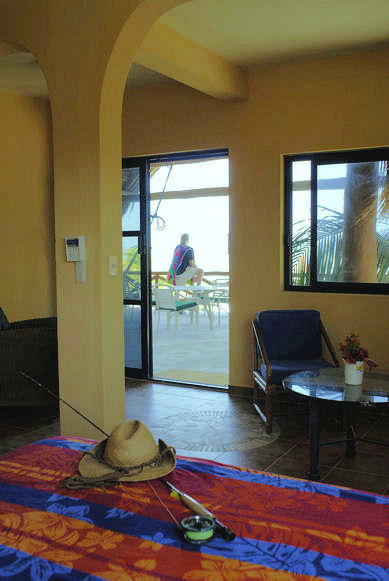 You will be staying at the only fly fishing lodge on Holbox. You will be shown to your room which is roomy and comfortable. The lodge is right on the beach just a few blocks from the center of town. The beach is shallow and easy to swim and it extends miles and miles to the east. Holbox is also famous for its conch population and big shells are a fairly common sight if you walk out of town a mile or so. The meals are included in your package as we have by far the finest restaurant on the island. With Luciano as your host you get some wonderful food and excellent service. Breakfast and lunch is included with e package as well as an open bar. Dinners are on your own in one of the several restaurants in town. 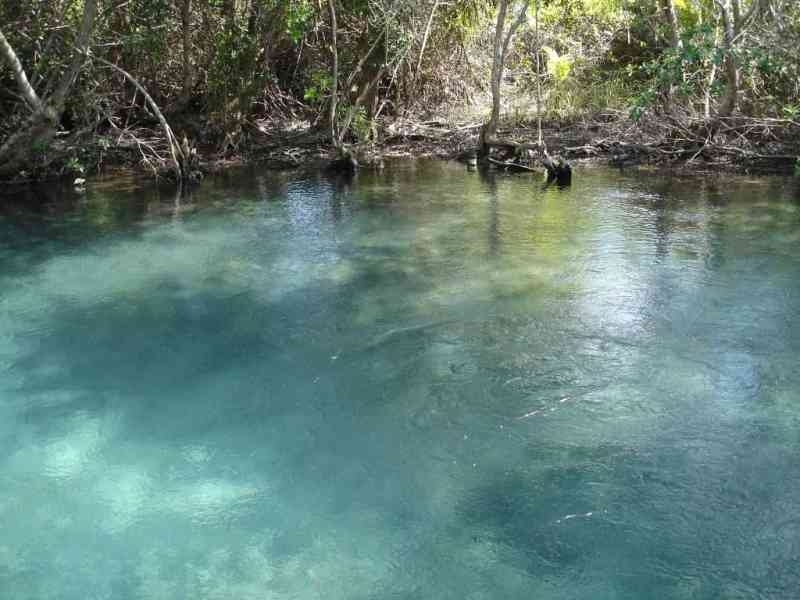 This is fly fishing heaven, tarpon style! Our Lodge Manager – Luciano , will mix your favorite drink while he settles you into the lodge. 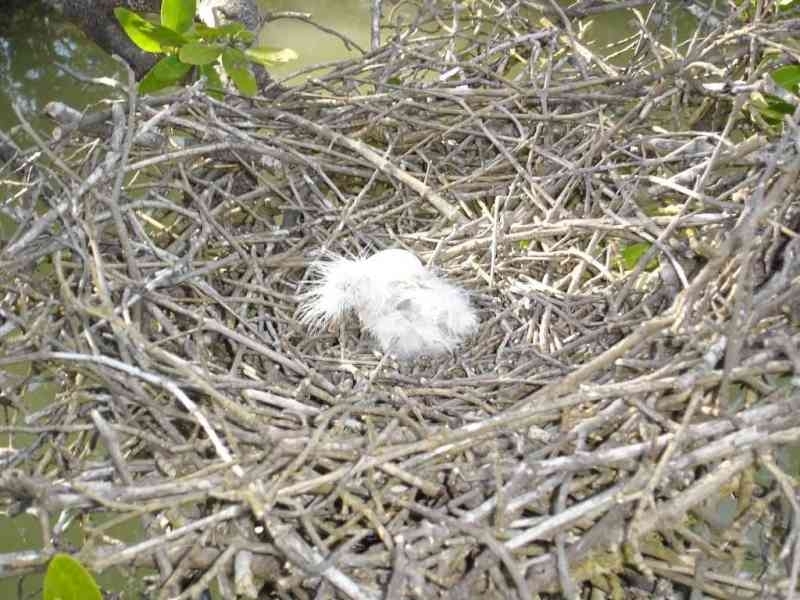 He will explain in detail your schedule and you will learn about the weather, fishing, wake ups, guides, meals, happy hour and all the other things that will allow you to settle in as guickly as possible. Please expect to be pampered! 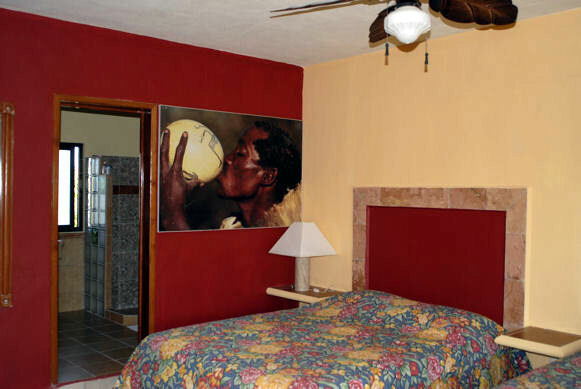 We do not accept many guests at one time so that we can focus personal and professional service on you. Luciano will be your concierge, personal guide to the island, bartender, alarm clock, computer guru and world travelled story teller. He will also be your “go to” guy to solve any last minute fishing issues that always seem to pop up. And he will keep the “OPEN BAR” well stocked with your favorites. 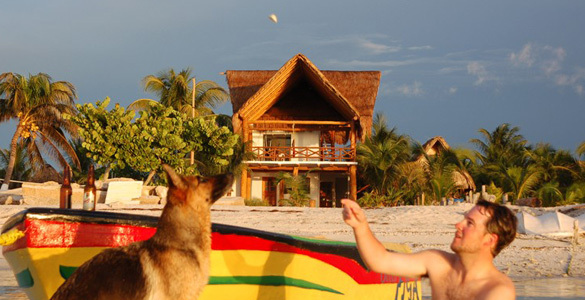 Food is always an important part of any vacation and Holbox will not disappoint you. You will be able to watch the daily catch brought in to the beach. The Gulf of Mexico provides superb seafoods that are on the menu at the several nearby restaurants—lobster, shrimp, calamari and the freshest of fish. An Italian presence has been on the island for many years resulting in excellent European cuisine that provides the island’s continental flare alongside the classic Mexican food. A continental breakfast at the lodge will begin each day and lunch is served on the boats on fishing days. Happy hour includes signature hors d’ oeuvres and all other meals are on your own in the local restaurants a 5 minute walk from the lodge. 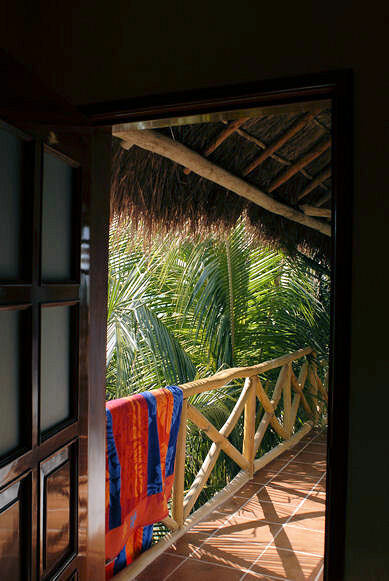 The lodge is a beautiful property on a tiny undiscovered and charming island in the Gulf of Mexico. The beachfront location affords privacy, a gentle breeze, and a terrace view that will stamp your memory as one of the more unforgettable of your travel career. 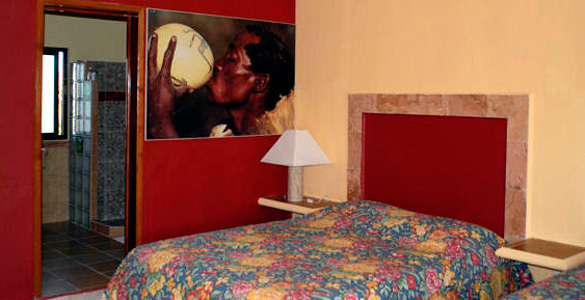 The rooms are modern, upbeat and air conditioned. Comfortable lounge furniture is available for deck or sand relaxing and the hammocks allow you to siesta “Island Style” . An outside shower with a Conch Shell spout pours warmish water over sandy feet—or a sandy fishing rod. 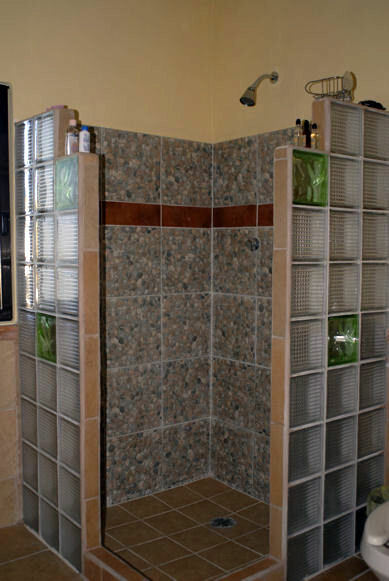 You will feel comfortable, secure and happy! A lodge experience is more than a hotel stay. it costs more and it includes more. Please read our GUEST PLEDGE”, that describes the services you can expect while staying at Holbox Fly Fishing Lodge. 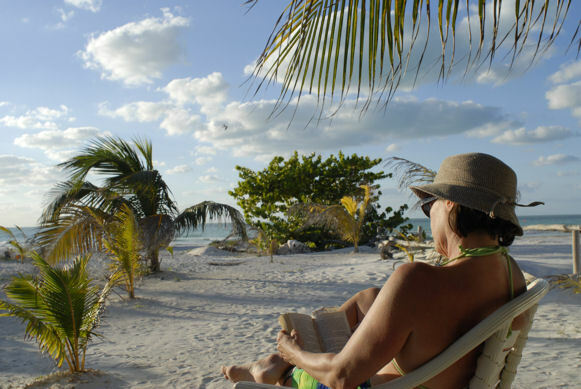 DAILY GUIDED FISHING AND ADVENTURE EXCURSIONS—OR PAMPERING IF YOU CHOOSE TO JUST LOUNGE ON THE WHITE SAND IN FRONT OF THE LODGE. AN OPEN BAR, CUBAN CIGARS FROM THE HUMIDOR, BEVERAGES OF YOUR CHOICE AND DESIGNER HORS D’OEUVRES WITH YOUR GUIDES AT THE NIGHTLY HAPPY HOUR. GENTLE “COFFEE TO YOUR DOOR” WAKE-UPS—ESPRESSO IF YOU PREFER. A FLY TYING BENCH AND ROD RACKS OUTSIDE YOUR ROOM. YOU CAN LEAVE THE WADERS HOME—–THE WATER IS WARM!!!! 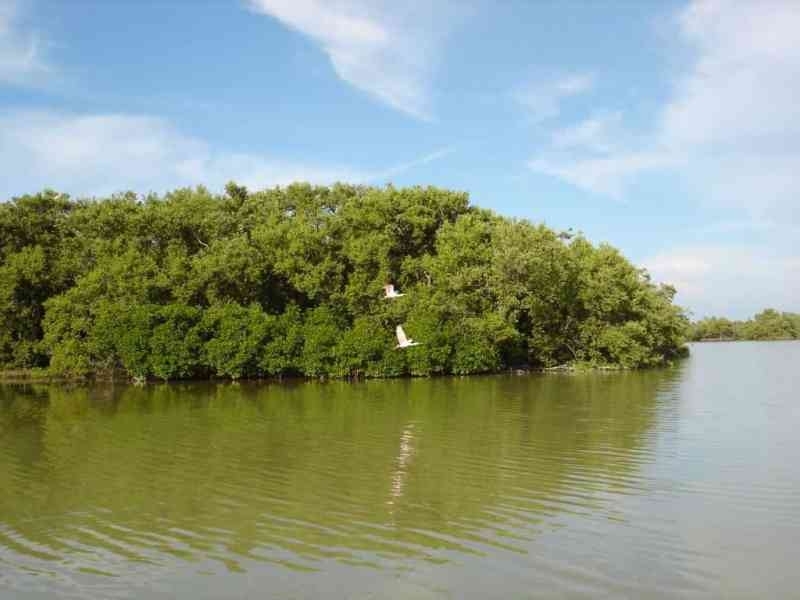 A GOLF CART AVAILABLE FOR AFTER FISHING (3:00PM-6:00PM) ISLAND EXPLORATION OR FLATS CASTING. A SPECIAL “LUCIANO” SPAGHETTI DINNER, SERVED WITH A NICE CHIANTI AND PERHAPS YOUR SPORT CAUGHT FISH. COMMUNICATION VIA INTERNET AND PHONE,. ENJOY MODERN ROOMS AND AN OCEANFRONT TERRACE VIEW THAT WILL IMPRINT YOUR MIND WITH ONE OF THE MOST VIVID MEMORIES OF YOUR FISHING CAREER. 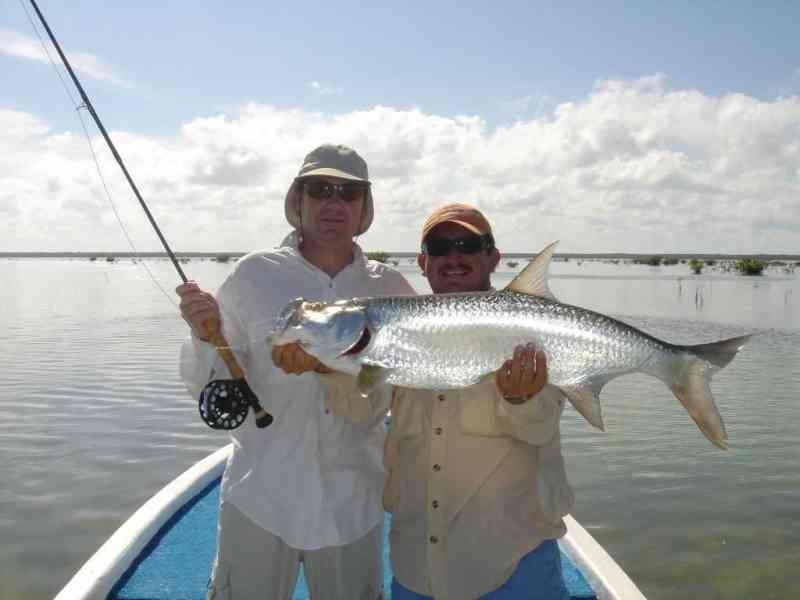 Holbox means fly fishing for tarpon in shallow water. Holbox means huge tarpon on the end of your fly line because only 35 fly fishing enthusiasts fished these waters last year. In Florida a decent flat gets that in a couple days!! These are tarpon that have not seen a fly until you throw it. Tarpon are peculiar anyway; why did that one eat the fly and another doesn’t, why do they race after it one day and not the next, some days I’ll throw at 20 and not one will acknowledge the fly while other days my worst cast hooks up with a monster. If you want to increase your chances of jumping 100 lb. 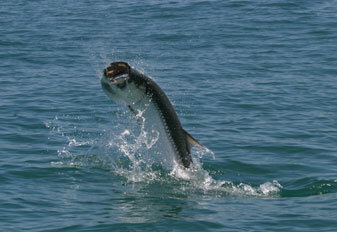 tarpon then go the extra 200 miles to the northern Yucatan coast of Mexico instead of Florida. 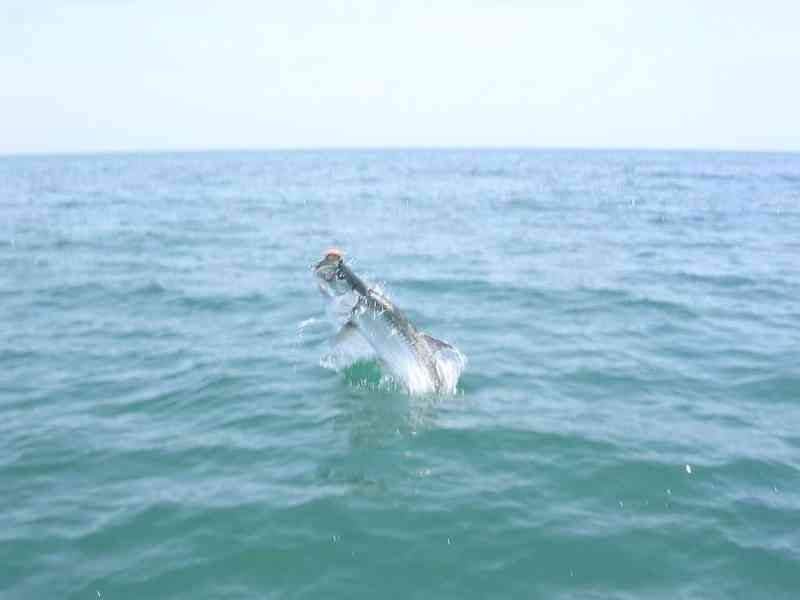 The tarpon flats are about 20 minutes from the hotel and are anywhere from 5-15 feet deep. 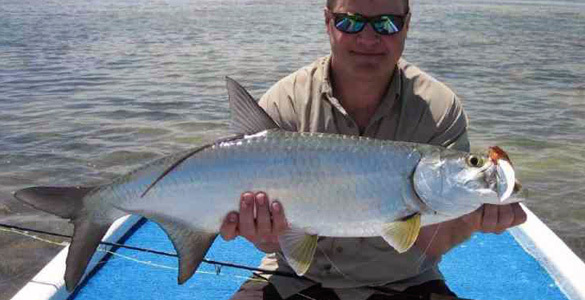 Large groups of giant tarpon cruise these flats from May through September. Each morning you will get a breakfast at the lodge at about 6:00 and head out on the boats at about 6:30. The standard day lasts until 2:30 in the afternoon. You and your guide will be studying the water for rolling fish, fish making a wake (some the size of a small boat! ), or the actual fish as it cruises beneath the surface. You will aim your cast just ahead of the lead fish ( just a yard or so if the fish are near the surface) Your guide will coach you as to when to strip but once they show some interest make sure you keep it moving as they may follow all the way to the boat before eating! Hooking a 100 pound fish 10 feet from the boat and watching it jump higher than you is a moment to live for. 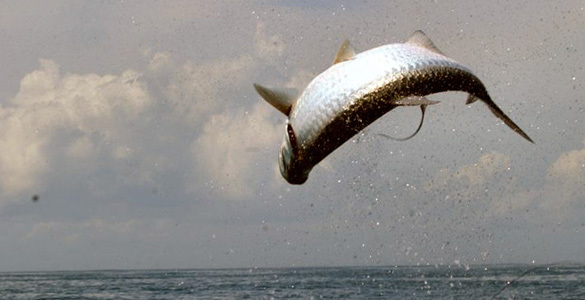 The term “jumping” a tarpon exists because that’s about all you get with most tarpon that you hook. Their mouths are rock hard they jump twist and rattle their heads so effectively that most hooks just don’t hold. 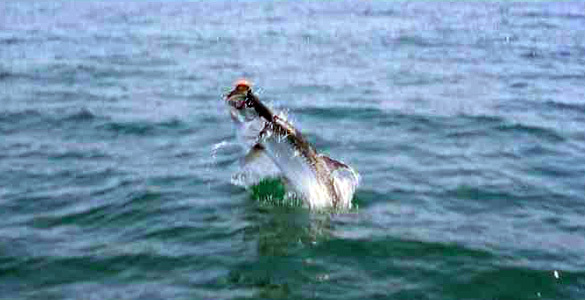 Even though this is the best tarpon fishing in the world you will only jump a few each day if you are a decent caster. A great day would be 1 big fish brought to the boat, or jumping 4-5 fish. 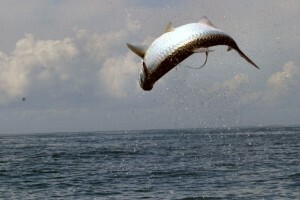 If you go for the smaller tarpon then 5-10 jumps is considered a great day. Tarpon fishing is not fast paced there is a lot of time spent looking and looking and then all of a sudden it happens – 10 big fish moving at you and it is all you can do to maintain enough composure to get off a good cast. The nature of tarpon fishing is that it will take you several hours to land an average fish. A truly big one of world record proportion could take 6 hours. If you hook that one at 2 PM on Wednesday your guide will have no qualms staying out as long as it takes to land it (into the dark if necessary). For this reason we limit most days to the 8 hours ( if you haven’t hooked a fish by then it is time to head home!!). 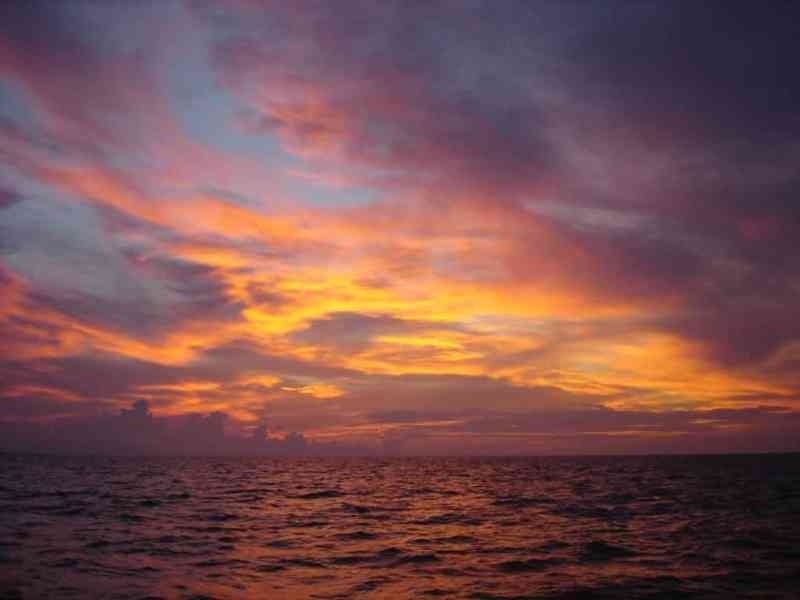 Extra time on the water can be arranged on an overtime basis. 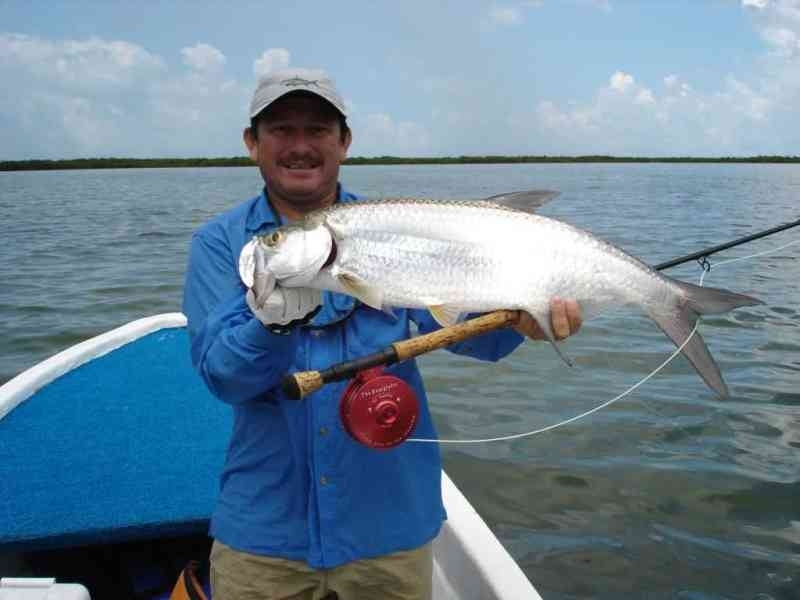 Your guides are native to the island and have been tarpon fishing with a fly rod for over ten years. The boats are 18′ pangas that are easy to pole into position for a group of cruising tarpon. 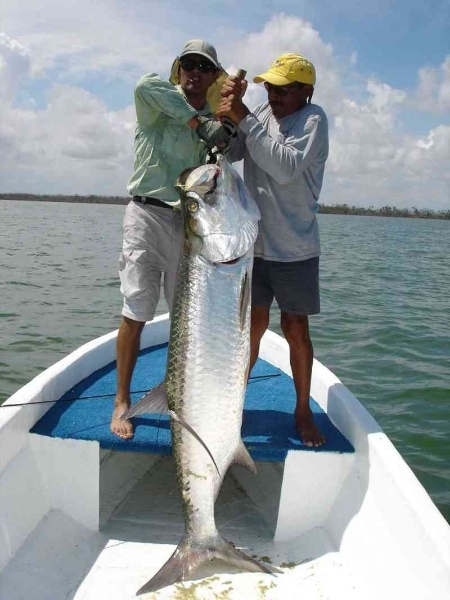 Small tarpon are found in mangrove channels and flats around the island. Most of the fishing is still sight fishing as the water is clear all year. The baby tarpon are also a good warm up for the big boys. Its nice to practice on some less intimidating specimens before you experience tarpon fever in front of a 150 lb. fish! Learning to retrieve in the manner that most attracts a tarpon, the proper hookset, instinctively allowing some slack when the fish jumps, all takes some practice. ( I still need coaching). Snook are pretty common in the same areas as the baby tarpon as well. Keep in mind that baby tarpon are 5-50 pounds!! Alejandro, our head guide wrote the book on fly fishing in Mexico. He has fly fished for more than a 2 decades here. He was hired by the Mexican government to help train the guides in Ascension Bay for both fly fishing knowledge and fly fishing English. the three other guides are his brothers. It doesn’t matter which brother you get, Darwin, Rudolph, Alejandro … any one of them can throw a line further than me and they know the water and the tendencies of the fish. They all tie flies, they all fish on their days off, they all have enthusiasm for the sport, basically they are some of the finest guides in the world. 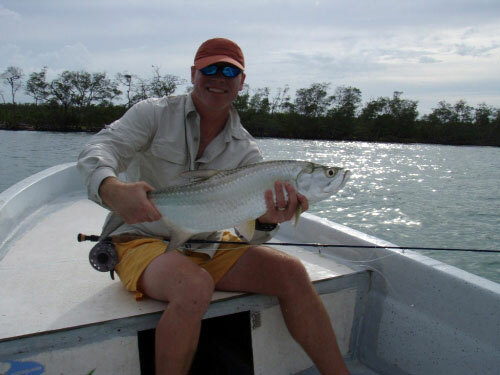 The guides usually start tarpon fishing at 6: 00 am and it is about a 20 minute ride to most of the better flats. It is possible to go a hour away to some of the more distant areas. 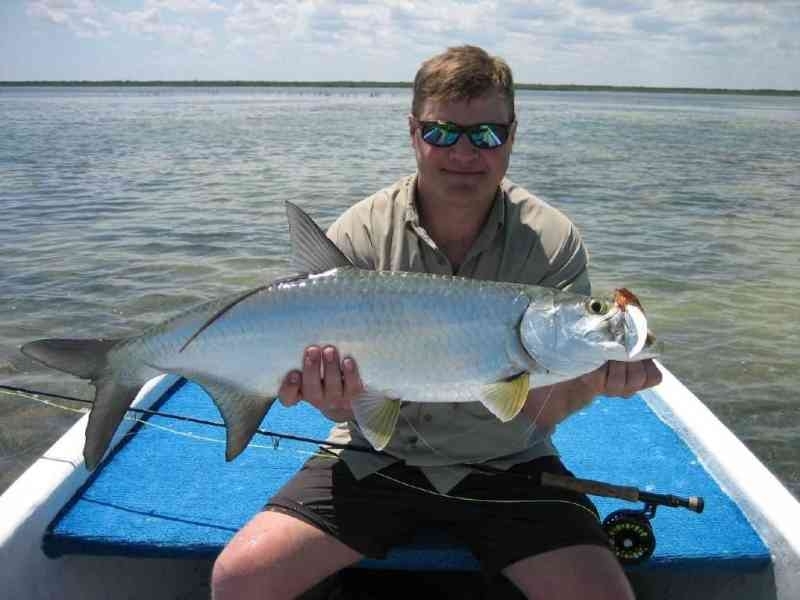 The fishing is mostly sight fishing to cruising or rolling tarpon. The water depth is between 3 and 15 feet. the normal fishing day is 8 hours. The guides work hard poling the boat incessantly to intercept schools of tarpon. The other reason the day is declared to end at 8 hours is that if you hook a big tarpon at 7 hours and 30 minutes into the day the guide will coach you for the next several hours while he chases your fish down without a second thought. So the 8 hour days end up averaging 10 hours. If no one is hooked up by 1:30 or so you will usually head in. The guides have been trained in the art of fly fishing and everyone of them can throw a fly line with impressive results, they can coax a tarpon to follow, they know how to strip to make it eat the fly, they know the flies, they know the water, in short they are so good that we have to keep them with us by paying them top wages and limiting their hours to keep them fresh. 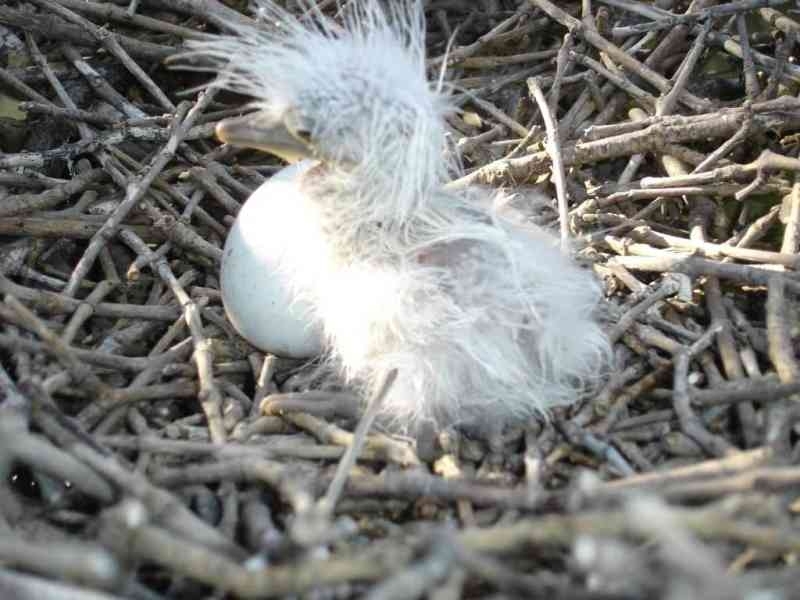 That said however they will be happy to fish longer if we pay them a little overtime. Back at the lodge you will have some time to tie some flies and tell some stories at the bar before dinner. Good meals and good people will be the bonus to the great tarpon fishing. This is fly fishing heaven, tarpon style! High season runs from MAY 1 – August 31. Low Season is September 1 – APRIL 31. 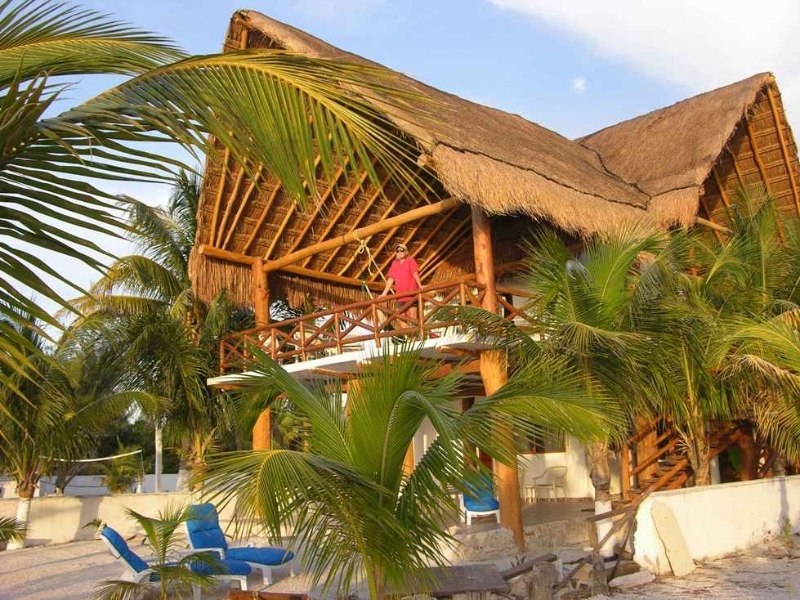 Prices Include: round trip ground transportation from Cancun (CUN) to the lodge, lodging, breakfast and lunch daily, guided fishing each day, It includes soft drinks, and an open bar at happy hour. It also includes all taxes. Prices quoted are per person and in US dollars. Prices Include: round trip ground transportation from Cancun (CUN) to the lodge for 4 people, lodging, breakfast and lunch daily for 4 people in 2 rooms, 1 boat for 2 people guided fishing each day, eco tour activities for 2 people each day,soft drinks, and an open bar at happy hour. It also includes all taxes. Prices quoted are for 4 people and in US dollars. The island lends itself to beach bums, you will find folks from all over the world here, some living in town some vacationing like yourself. 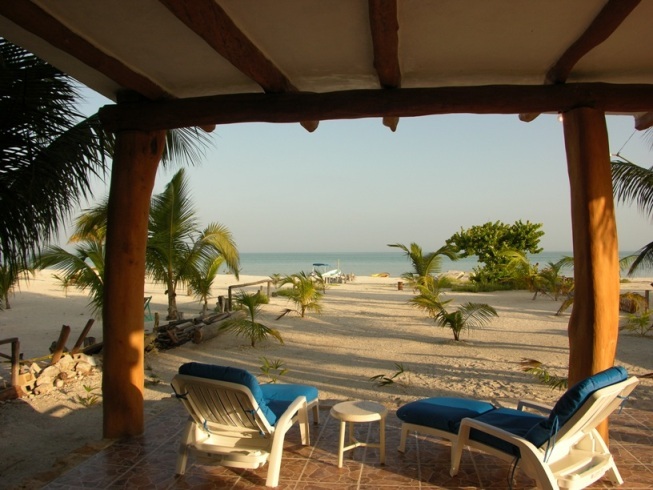 The beach in front of the lodge goes on for miles, You will find more and more shells the further you will go. If you need more activity than reading on the beach or strolling through town, there is a fair amount of stuff to do. 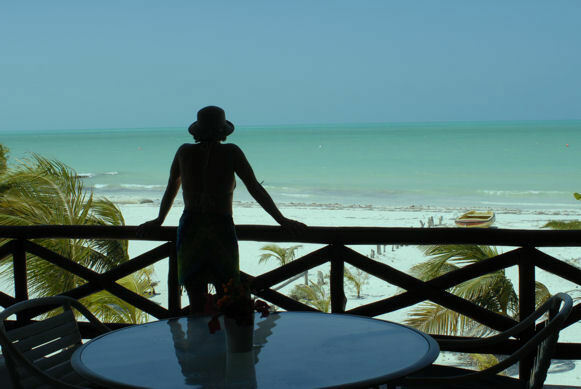 Holbox is famous for it seasonal whale shark viewing (May-September), Mayan ruins are a full day trip, birding (flamingos make their home here much of the year), Swimming in some of the freshwater spring that bubble up into the ocean, kayaking the creeks and lagoons, or horseback riding on the beach. Timing: Arrive by 12:00pm to 2:00pm for airport pick up. Otherwise we will pick you up at your Cancun hotel at 10:00am. It takes about 3 hours to reach Chiquila, a small pueblo at the end of the road, where you will board a private boat for a short trip to the island. We will stay in contact with the drivers until you are deposited on the beach in front of the lodge. Our manager will greet you and settle you into your rooms and pour you a special drink while he outlines your stay. 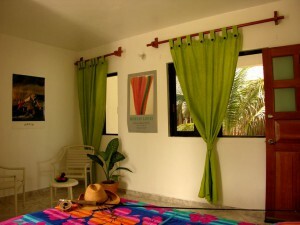 You will relax on the beach the first day and begin the activities the following morning. Manager Luciano will advise you on the dinner options (on your own, about a block away) and watch over your needs and schedule for the duration of your stay. On your last day you will rise for a delightful last breakfast and a special espresso on the terrazzo. Depart mid morning from the lodge by private boat for the connecting van to Cancun.